IPL 2019 will begin on 23rd March, with the first match to be played between Chennai Super Kings vs Royal Challengers Bangalore at MA Chidambaram Stadium Chennai at 8 PM IST. CSK vs RCB has been an intense and widely followed rivalry, so it makes sense that the new season starts with this matchup. In 2018 CSK won the title while RCB finished at 6th position. Over the years CSK have generally been the more successful side, winning the title thrice, while RCB have failed to win even once. CSK have a very well balanced side. They don’t tinker much with the team combination and this year too we will see a very familiar side deployed on the ground. On the other hand, RCB are usually packed with explosive batsmen but they always lack the mojo in the bowling department. They have boosted the batting line-up even further this time by adding Shimron Hetmyer. Another interesting inclusion to the squad is Australian all-rounder Marcus Stoinis. CSK and RCB have met each other in the IPL 22 times. CSK have won 14 of them while RCB have managed to win 7, with one match ending in no result. The last time RCB beat CSK was back in 2014. Let's look back at the most recent matches played between these two teams, in the 2018 season of the IPL. The first match between RCB and CSK in IPL 2018 was played at Bangalore on 25th April 2018. CSK won the toss and elected to field first. RCB opened the batting with Quinton de Kock and Virat Kohli. Kohli got out for 18, after which RCB had a 103-run partnership from 53 balls between De Kock and AB de Villiers. But they slipped from 138/1 to 142/4 when they lost De Kock, ABD and Corey Anderson in quick succession. Mandeep Singh and Colin de Grandhomme took over from there, and the duo made 49 runs from 24 balls. Both of them got out at the team score of 191. RCB finished at 205/8 with a cameo from Washington Sundar who scored 13 from 4 balls. For CSK, Imran Tahir, Dwayne Bravo and Shardul Thakur picked up two wickets each. Chasing the big total of 205, CSK lost Shane Watson in the first over. The other opener Ambati Raidu kept the scoreboard ticking, but wickets kept falling at regular intervals. CSK were 74/4 at the end of 9 overs. MS Dhoni joined Rayudu when CSK needed 132 from 11 overs. Runs started to flow and the pair scored 101 runs from 54 balls. Rayudu got out for 82 from 53 balls, when CSK needed 31 from 13 balls. Bravo joined Dhoni, and the pair scored 14 runs in the 19th over. 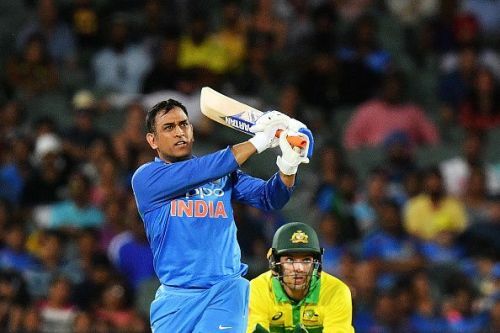 With 16 required in the last over, Bravo hit a four and six on the first two balls and took a single off the next ball to set it up for Dhoni. Dhoni finished it with a six over long on. Yuzvendra Chahal took two wickets for RCB while Pawan Negi and Umesh Yadav took one each. Dhoni was named Man of the Match for his 70 from 34 balls. The second match between RCB and CSK in IPL 2018 was played at Pune on May 5th 2018. CSK won the toss and elected to field first. RCB lost Brendon McCullum in the second over itself. The other opener Parthiv Patel maintained his composure while wickets steadily fell at the other end. Parthiv got out after scoring 53 from 41 balls and RCB were 89/8 in 15.1 overs. Tim Southee, at No. 8, was the only other batsman to get into double digits. He scored 36 from 26 balls and RCB finished at 127/9. Among the bowlers, Ravindra Jadeja took 3 wickets for 18 runs and Harbhajan Singh scalped 2 for 22. Chasing 127, CSK lost Watson in the 3rd over. Raina and Rayudu kept the scoreboard moving, with Raina scoring 25 and Rayudu notching up 32. Dhoni paired up with Bravo in the end to chase down the total in 18 overs, with MSD scoring 31 from 23 balls and the partnership reading 48 from 35 balls. Jadeja was named Man of the Match for his bowling figures of 4-0-18-3.